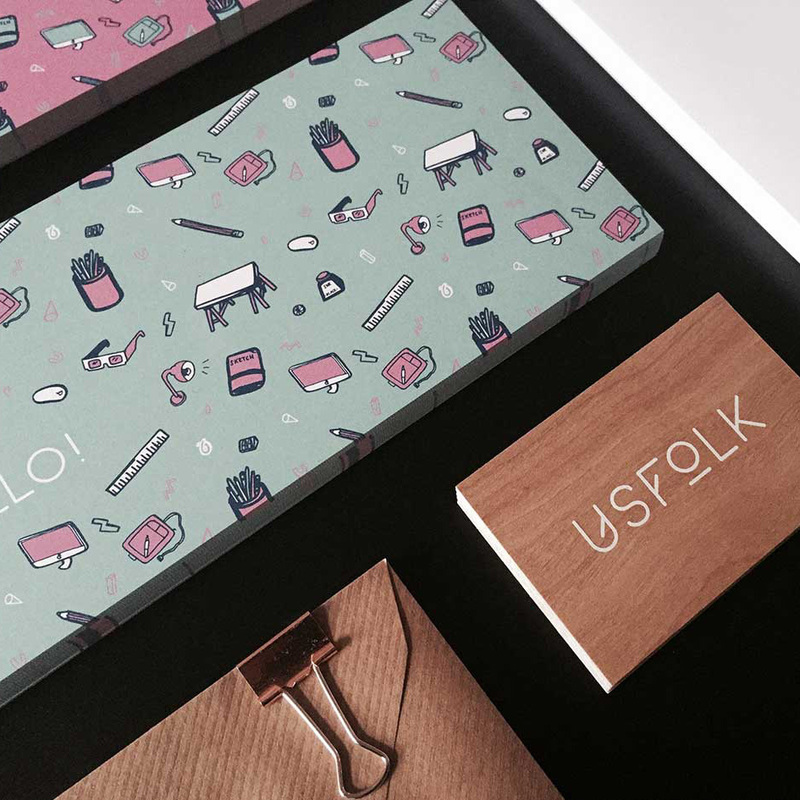 When it came to creating the UsFolk Brand there were a lot of considerations. 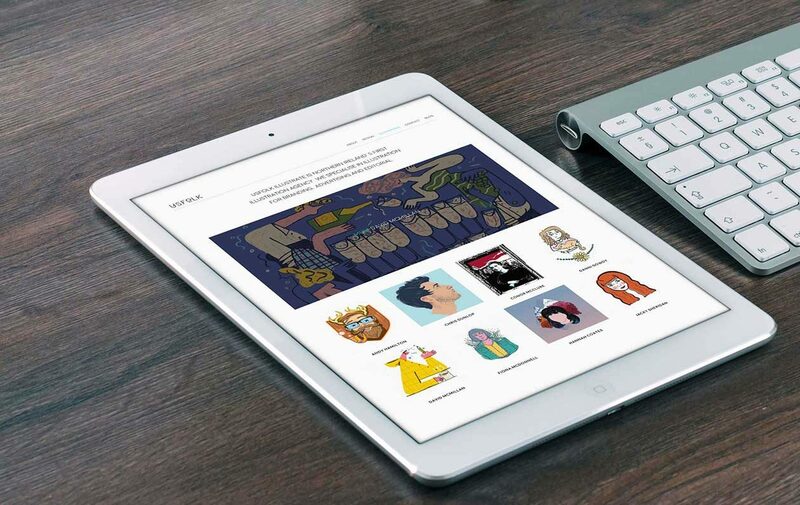 How could we have a modern and contemporary brand style that wouldn’t overshadow the design and illustration work that we were showcasing? Simple. We developed a clean and contemporary typographic mark. A flexible colour system that meant we could a bit fun with the application. We mixed dark grey and white with copper for our interiors. 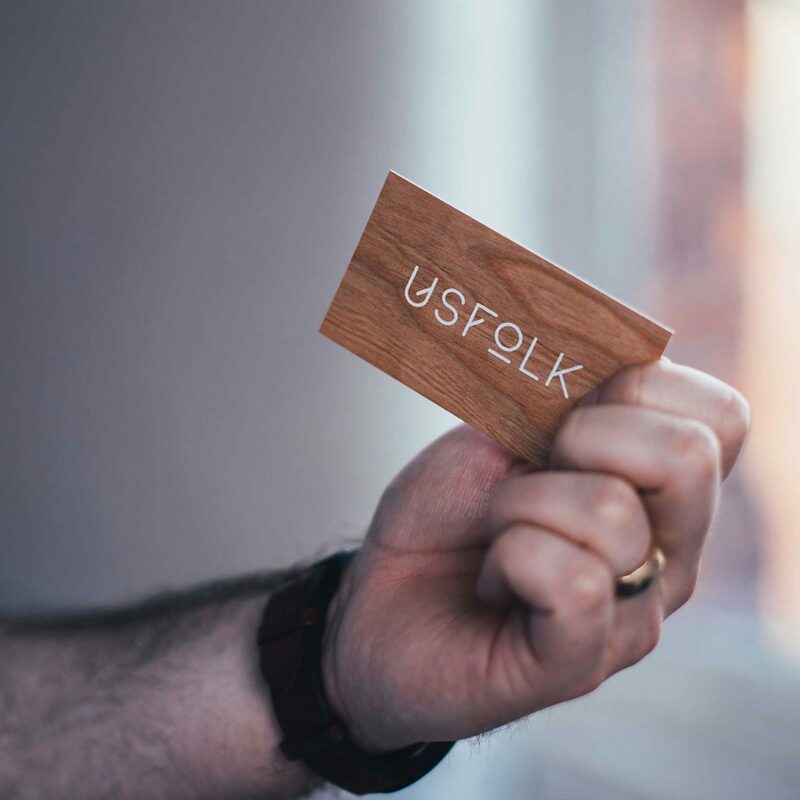 For the the print items we designed real wooden business cards to evoke a natural, friendly feel. For online and social media we use bright, zingy palettes with bespoke illustrated icons by Jacky Sheridan.